Aloha! Nicole from Teaching With Style here! This week I've been taking a class with the Hawaii Writing Project and crafting my own writing in order to be a better teacher of writing. 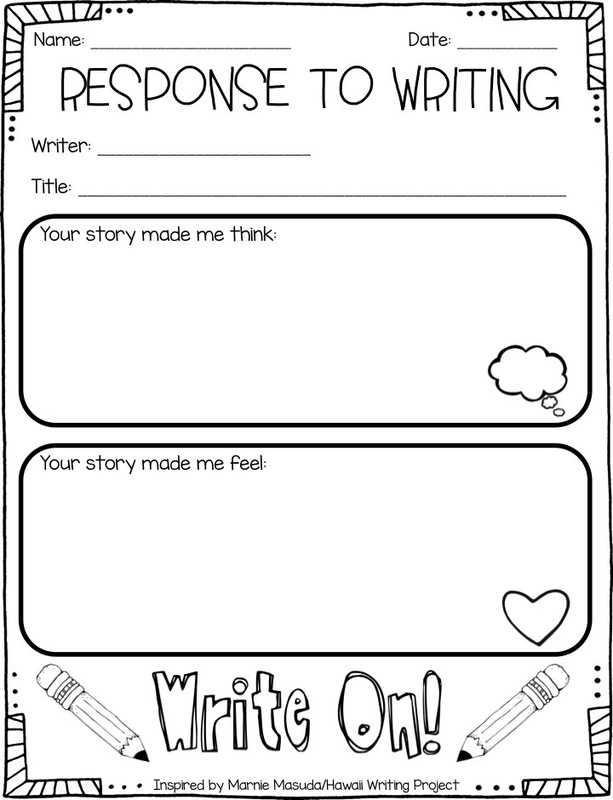 One of the strategies we learned was to have kids meet in groups to share their writing and do response sheets for each others' work. I love this idea and made a freebie for you to try it, too! Head on over to my blog to grab the freebie and read more about the strategy!